Interested in placing your listing in our community? 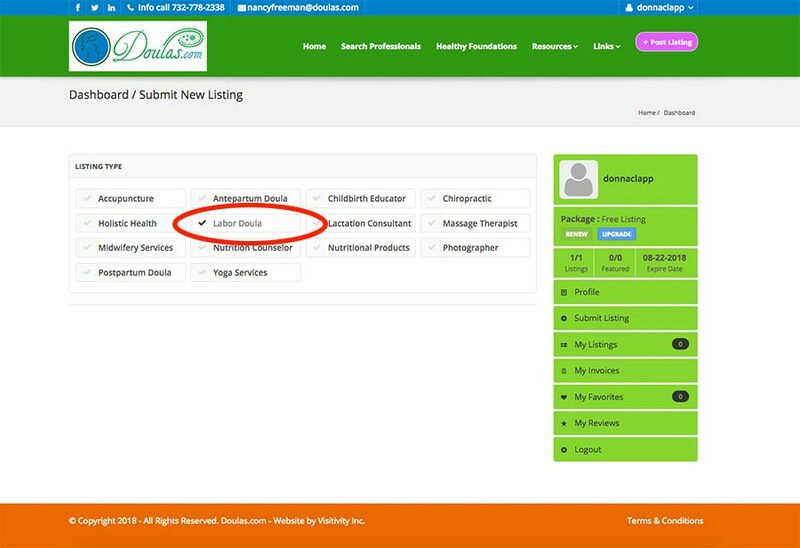 Please read the following to understand how to add your listing into our system and the minimum requirements in order to be listed on Doulas.com. There are currently four membership packages you can choose from for your listing. Please refer to Member Pricing for details on our member packages. Step 1: Register for the site. On the homepage click the Register button in the top right corner and fill in your user name and email address. A temporary password will be emailed to you. Step 2: Login to the site. On the homepage click the Login button in the top right corner and fill in your user name you created and use the temporary password that was emailed to you. Step 3: Complete your Profile. 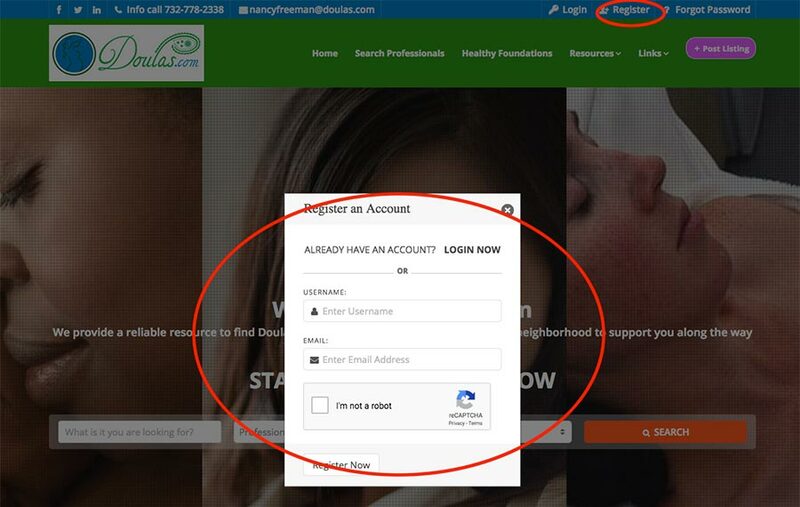 Once you login you will be directed to your dashboard where the first step is to complete your personal profile. Please fill in the information fields, upload a picture of yourself or your business logo under user profile. Update your password to something you will remember. 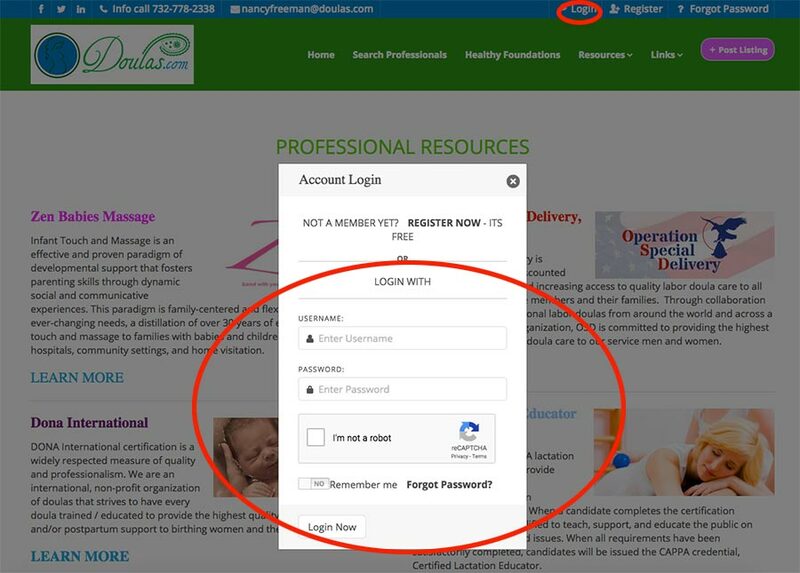 Once you click save you will need to login again with your new password you created to return to this dashboard. Please enter your name and details on the right column, your website, phone, social media contacts, this is how visitors will be able to contact you. Click Save/Update at bottom of screen to update your profile. Step 4: Choose Your Membership Package. 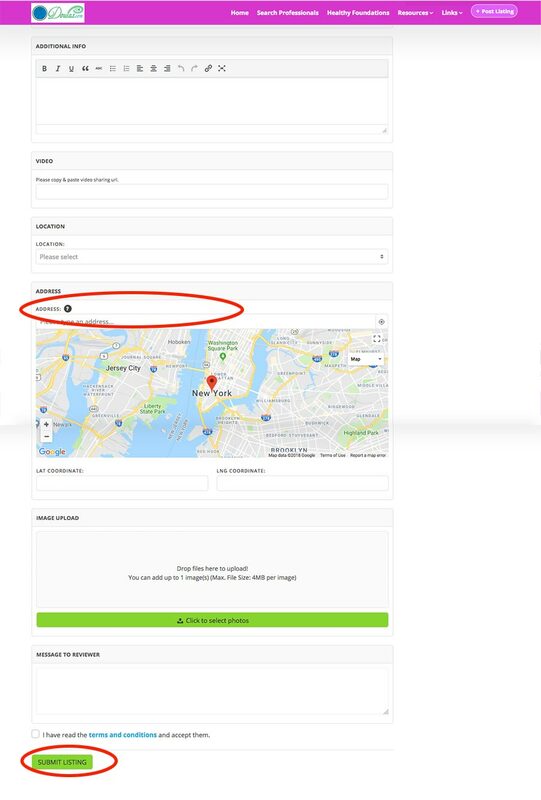 Now you have to select from one of our four packages in order to list your business, share your location and set up your frontend listing that visitors will see on the public side. In the green bar on the right please select the “Purchase Membership Package”. 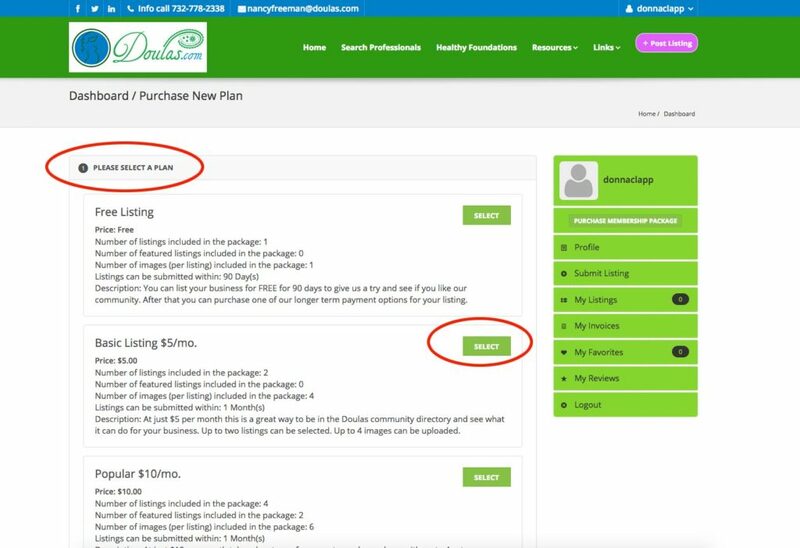 Review the package offers then choose the one you want by clicking the “Select” button to the right of the description. NOTE: If you are choosing our Ultimate package then choose the “Paypal” button for payment options. If you are choosing a monthly package then choose the PayPal Recurring Payments option. Follow the steps on Paypal to complete your purchase. We only accept PayPal as our payment gateway at this time. Once you complete your payment return to your dashboard to create your actual listing in our system. All listings need to be approved before being posted. We typically approve all listings within a 24 hour period. Please note this. Step 5: Set up Your Listing. On the green bar you now want to click the My Listings link. It should show a “0” in black indicating that no listing has been set up yet. 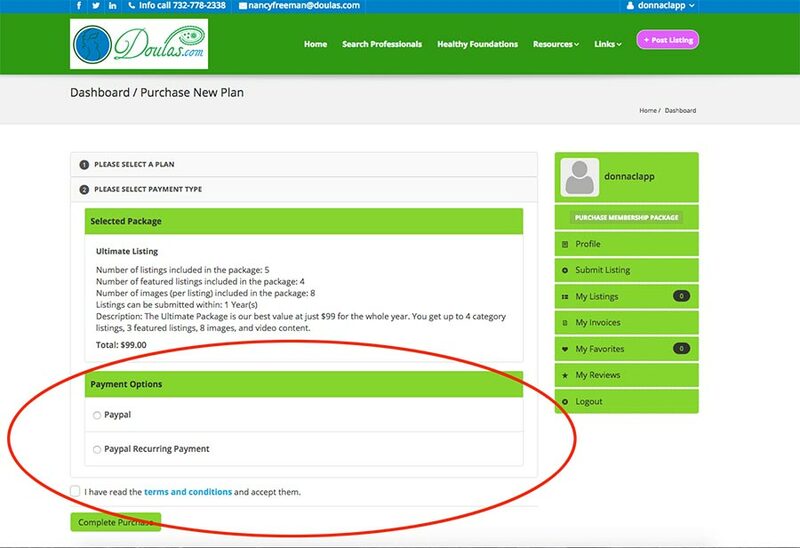 If you buy a package with multiple listings you will need to add a new listing per category each time. 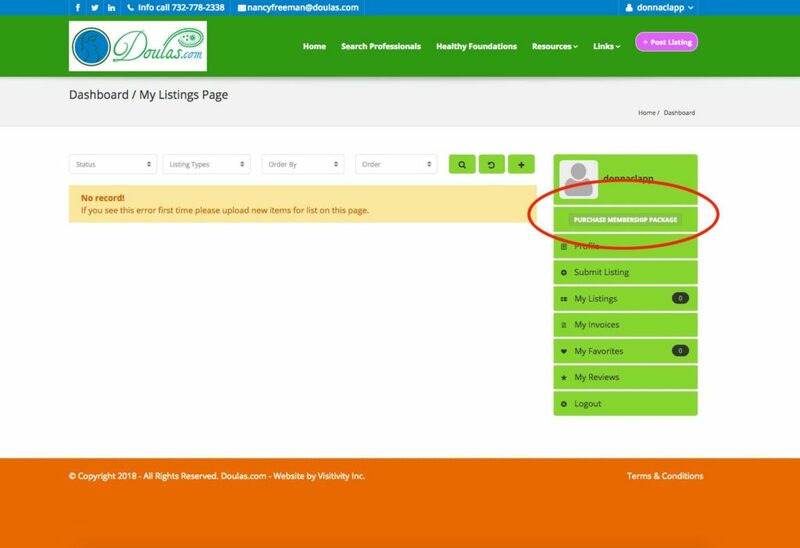 To create your listing click the “+” sign as shown below. Next step is to choose your Listing Type or “Category” you want to be listed under. Again for multiple listing packages you need to create a listing for each category and choose one category for that listing. You can not select more than one category or Listing Type per listing. Now you need to create what the viewers will see on the public side of the site. 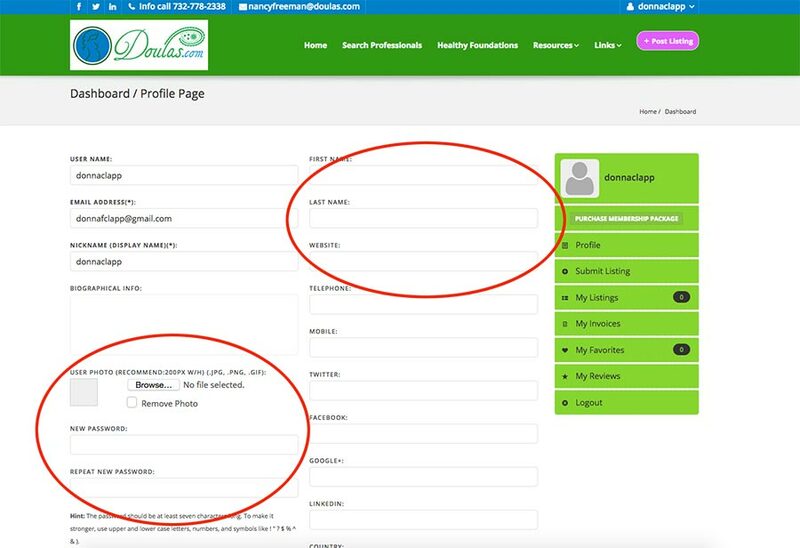 Please note that your personal profile info will appear automatically at the bottom of your listing so you do not need to name your listing your name unless that is the only name you go by. Consider what title is attractive to parents or put your company name here. Then please create a description of what you do and your services, background, testimonials, etc. You can also add content from your website or social media pages under this “Additional Info” tab. It is not required but is available if you need additional space to share content with viewers. If you have a video link that you would like to add please feel free to enter the URL link to that video here. Although you do not have to list your actual physical address unless you wish to you will need to select a “Location” which is the state you operate in, choose Canada or International if you are outside the US. In the next feild where it says address if you want to list your physical address enter it here. If you leave it blank it will default to NJ. You can choose to type Philadelphia, PA USA in the field and the map will give a general location within Philadelphia without revealing your actual address. You want to choose an image that will act as your main featured image at the top of your listing. Maximum upload size is 2MB. You must upload an image to have your listing accepted so please note this. 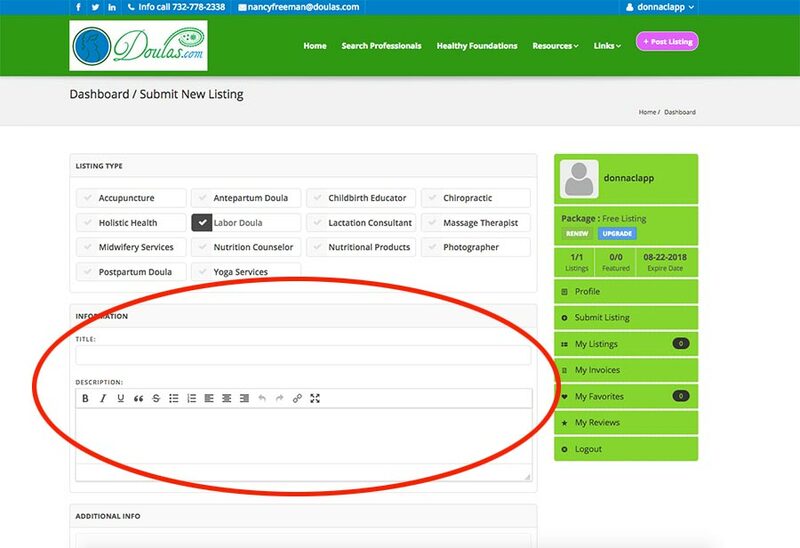 If you wish to let us know anything specific about your listing or make a request as your listing is reviewed you can put in the Message to Reviewer box. Make sure you accept the terms and conditions and choose the dialog box. Submit your listing. All listings are reviewed within 24 hours manually by one of our staff. Please be patient as listings entered after 5pm on Friday will not be reviewed until the following business day, Monday. Get started by clicking the Register button at the top of this page. We look forward to having you join our growing Doula Professional Community. © Copyright 2019 - All Rights Reserved. Doulas LLC - Site managed by Visitivity Inc.